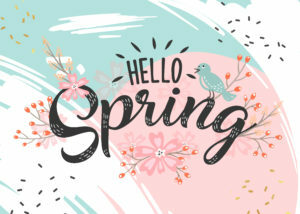 April and May are the perfect months to shop for a new heating system: early spring is a shoulder season for installations, so it’s typically easier to get a convenient appointment time with a qualified technician, and equipment prices are often at their lowest of the year. As always, we will get your equipment installed quickly and correctly so you’ll have the comfort you crave in the months and years ahead. Don’t sacrifice your hard-earned money – Intentionally walk to your phone and give Clyde S. Walton a call today at 267.354.4039 for savings that will get your spring off to a quality start. But hurry – offers expire May 15! * Installations must be completed by June 14, 2019. ** New service plan customers only, please. $40 off new Sliver Cooling Plan enrollment. $50 off new Silver Heat Pump Plan enrollment. May not be combined with other offers. *** Qualifying systems only; subject to credit approval. Monthly amount calculated using 24 month equal payment financing, $1,000 deposit and $300 Walton instant rebate. Sales contract must be signed by 5/15/19 and installation completed by 6/14/19. Cannot be combined with other offers; other terms and conditions apply. Contact us for details. **** Qualifying systems only; subject to credit approval. Monthly amount calculated using 24-month equal payment financing, $3,000 deposit and $500 Walton instant rebate. Sales contract must be signed by 5/15/19 and installation completed by 6/14/19. Cannot be combined with other offers; other terms and conditions apply. Contact us for details.